At Working Assumptions in Berkeley, California, everyday life is the basis for some impactful art exhibits that foster connections. 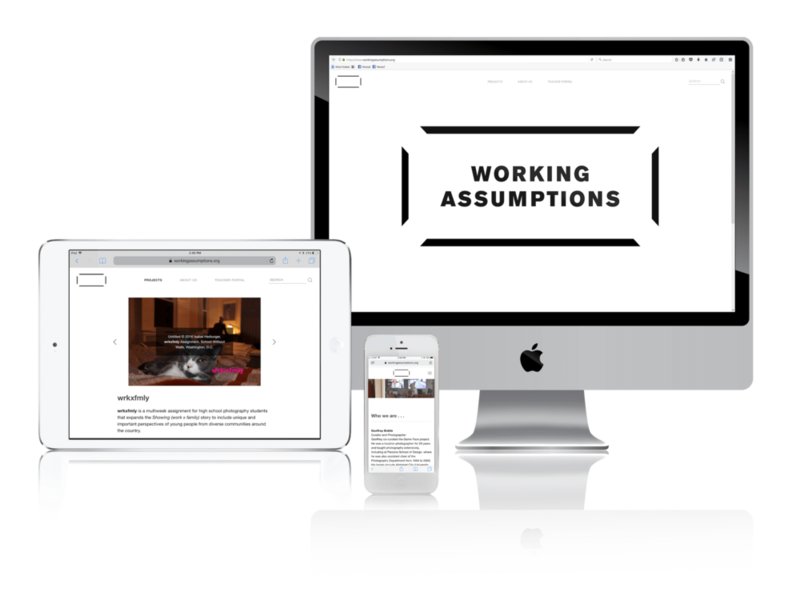 The team at Working Assumptions looked to Squarespace as the solution for a website that could tell its story in the most impactful way possible. Partnering with San Francisco agency Public Design, which represents Working Assumptions, Fix8 Media’s expert Squarespace designers and developers built a Squarespace website that packs a punch. Crafted in the Squarespace Mojave template, the site opens with a stark black and white home page, featuring the group’s mission statement front and center. Visitors can click in to explore various projects, presented in gallery and video formats, as well as learn more about the team, get involved, and even apply for grants. Teachers have their own portal that brings them to a Member login via Sentry Login, a third-party tool integrated as part of the project. The new Working Assumptions website is a resource to educators looking for a unique approach to art intersecting everyday life, as well as a platform for the group's work in the interesting space.